The 1960s were an explosive time, musically, culturally and particularly fashion-wise. The mods had entered the scene with their subversive clothes and gender blurring hairstyles. Much of the impetus for the 60's radicalism in style emanated from Great Britain, where the designers and boutiques of London's Carnaby Street set many of the fashion trends. Out of this shifting climate came changes in standards of beauty. In the 1950s fleshy, voluptuous bodies with large breasts were idealised. Women wore rigid and contrived hairstyles, stiff, voluminous skirts, high heels, bolero cardigans and crisp cotton shirts and tops or full floral dresses, gathered at the waist to emphasize an hourglass physique. With the arrival of the new decade, new female fashion role models were needed and many of these too, came from England. Like the spirit of the times, they were freer, slimmer, hipper and coolly groovy; yet they too were romantic idealisations in their own way. Up until this decade, fashion models, although recognisable in the magazines, lived in relative obscurity; known by name mostly only to those in the trade or with a specific interest in fashion. Few were household names but all that was about to change in the 1960s - the cult of celebrity was on its way. Arguably the most famous model of all time - certainly of the sixties, Twiggy, aka Leslie Hornby, was just fifteen when she began modelling and sixteen when she was discovered by fashion journalist Deirdre McSharry, who had spotted a photograph of her sporting her trademark short hair in a hairdressers window. Labelled as The Face of 1966, Twiggy re-defined standards of beauty and ushered in an age of gamine-like ultra thinness that has never quite dissipated; she is still emulated by models today. Her features have been described as androgynous and indeed, she did have a boyish quality, yet still feminine. Endowed with huge and dreamy 'I could swim in them' eyes, delicate features and fine skin, the 5'6" model was the female sensation of the 60's and an emblem of mod style. She appeared numerous times ion the cover of every major fashion magazine in the world. Twiggy did have her detractors, even back then and the fashion world was divided over her image. Her image-makers were blamed by some for initiating the craving for waif-like thinness and anorexic behaviour among young girls. Twiggy herself has said of her early fame and top model status; "I hated what I looked like. I thought everyone had gone stark raving mad." 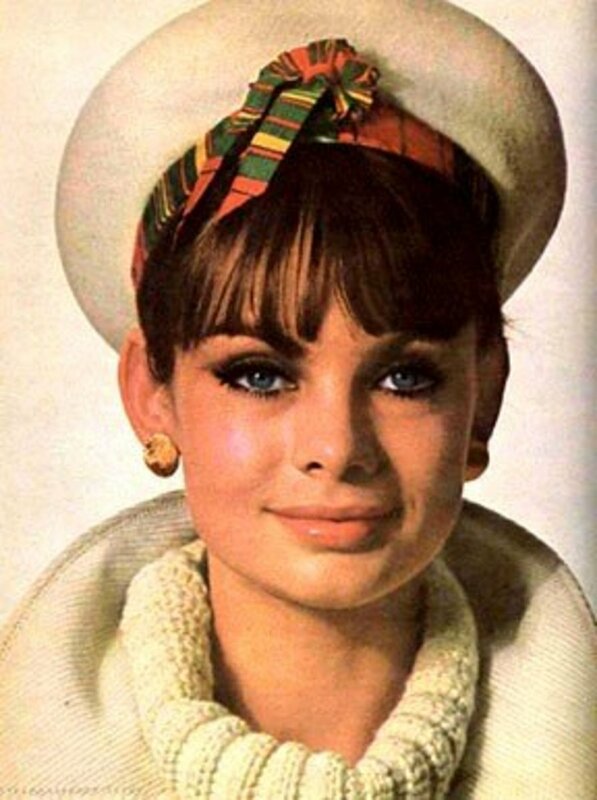 Notable for being the first supermodel, Jean Shrimpton was in the thick of the swinging sixties set. The precursor to Twiggy, she never quite reached the same level of International fame but remains nethertheless an icon in the annals of fashion history. 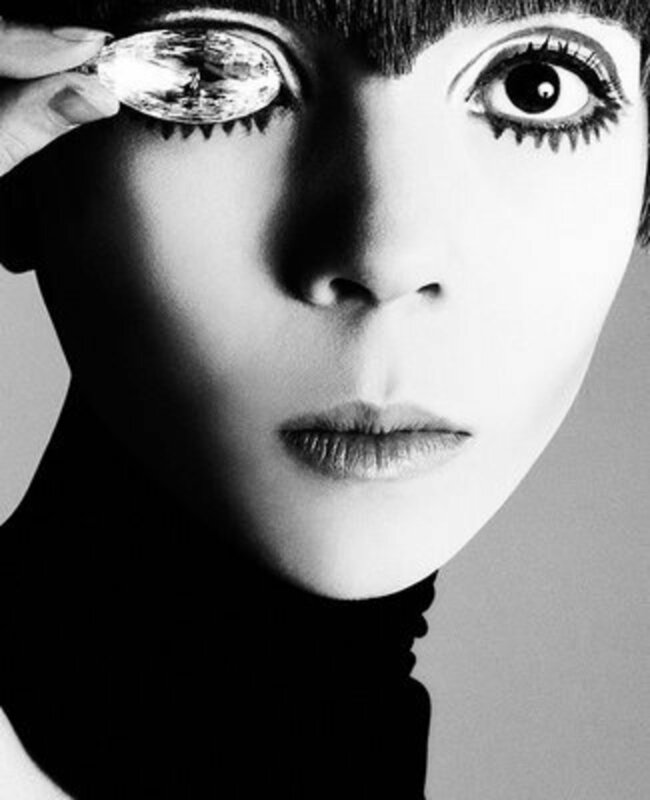 Born in 1942, seven years before Twiggy, by the time Shrimpton was eighteen she had already appeared on the cover of Vanity Fair, Harper's Bazaar and of course, Vogue and had worked with many top photographers. Comparing a top models life of today to back then, Jean Shrimpton has remarked that not only did 60's models earn far less money, but they had to arrive at a shoot with their hair and make-up already done. Shrimpton caused a stir in Australia in 1965 when she turned up tp the Melbourne Cup wearing a mini; the first to be seen publicly in that country. The dress was only a couple of inches above the knee but the dress codes were rigid at that time and for such an event as the Cup, women wore hats, gloves and most definitely dresses below the knee. 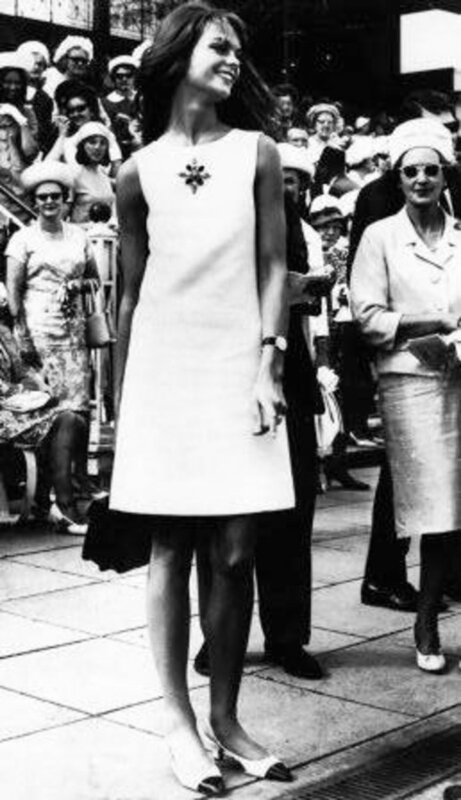 Not only was Shrimpton's dress too short, it ws also sleeveless and she wore no hat! To the matrons of Melbourne, it was a scandalous sight. By the age of thirty-three Jean began to feel her modelling days were over and she opened an antique shop instead. Many journalists have noted that the willowy model, although highly successful, never fully embraced her early career choice.. Described by John Lennon as "Hot, Hot, Hot, Smart, Smart, Smart! ", Anglo-American, Penelope Tree was rarely out of work in the sixties, although she is Internationally lesser know than either Twiggy or Jean Shrimpton and also perhaps, less conventionally pretty. Born in 1950 to a socialite mother and investor father, Tree was spotted in the street at the age of thirteen by legendary photographer Diane Arbus. Her broad, open face, widspaced eyes and interesting features made her popular with the arty crowd as well as many top photographers - including David Bailey, whom she moved in with at the age of seventeen.The apartment became a kind of ultra-hip centre for alternative culture and ideas. Variously decribed as 'elfin' and 'hippy', hers was a unique beauty and many of her photographs from the time reveal a girl with a bohemian, experimental personality who wasn't afraid to step out on a ledge...fashion-wise. Unfortunately for her, at twenty-one she suffered from a severe skin disease(adult acne) which left her scarred and thus brought her career to a screeching halt. As Tree descibes it; "I went from being sought-after to being shunned because nobody could bear to talk about the way I looked". It's a shallow industry. The original 'big hair', the beehive style, also known as the bouffant and the B52, was invented in the late fifties, possibly as an antidote to the mundanity of the pageboy and ponytail, which had dominated the earlier part of the decade. 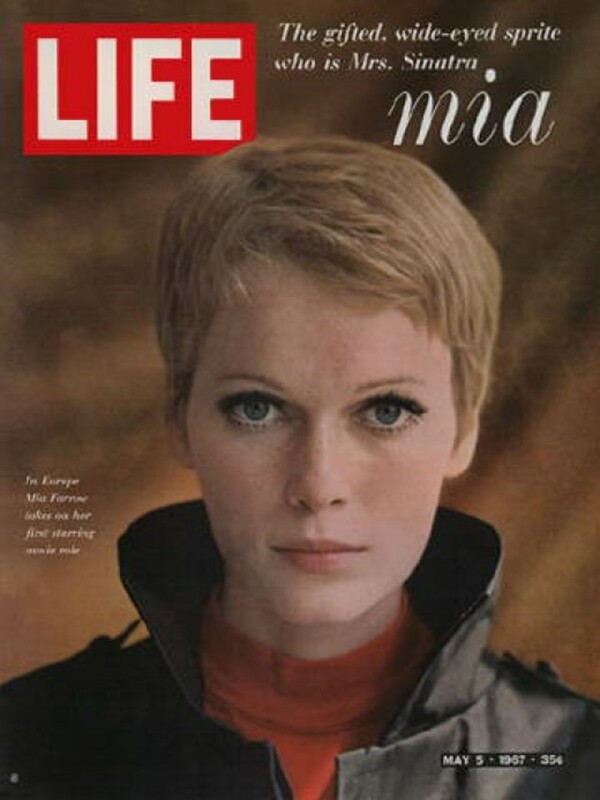 When actress Mia farrow had her hair cut by Vidal Sassoon during the filming of Roman Polanski's wonderful film Rosemary's Baby in 1968, powerful ripples of shock reverberated among the style-conscious.